For nearly 30 years, Dr. Henney has served in a series of senior health policy leadership positions in the public sector. Beginning in 1980 she served for five years as the deputy director of the National Cancer Institute. Subsequently, she joined the University of Kansas Medical Center as vice chancellor of health programs, and for 18 months, interim dean of the School of Medicine. She then served as deputy commissioner for operations of the Food and Drug Administration, where she stayed until assuming the position as the first vice president for health sciences at the University of New Mexico. In 1998, she was nominated by President Bill Clinton and confirmed by the U.S. Senate as the Commissioner of Food and Drugs, U.S. Food and Drug Administration. She served in this capacity until January 2001. After leaving the FDA, she was appointed senior scholar in residence at the Association of American Health Centers. From July 2003 until the beginning of 2008, Dr. Henney served as Senior Vice President and Provost for Health Affairs at the University of Cincinnati. After 2008, she remained on the faculty as a full Professor in the College of Medicine. Her current responsibilities include Home Secretary for the Institute of Medicine, and she serves on the boards of the China Medical Board, the Commonwealth Fund, and Monell Center for Chemical Senses. In addition, she is a member of the Board of Directors of Cigna, AmerisourceBergen Corporation and Cubist Pharmaceuticals. She also serves on a wide range of foundations, associations and governmental advisory committees. 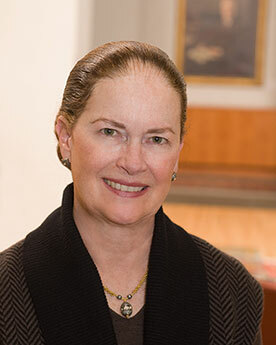 Dr. Henney has received many honors and awards in her field, including election to the National Academies of Science Institute of Medicine, the Society of Medical Administrators honorary membership in the American College of Health Care Executives. She has received honorary degrees from North Carolina State University, Manchester College, University of Rochester and Southern Illinois University, Edwardsville.